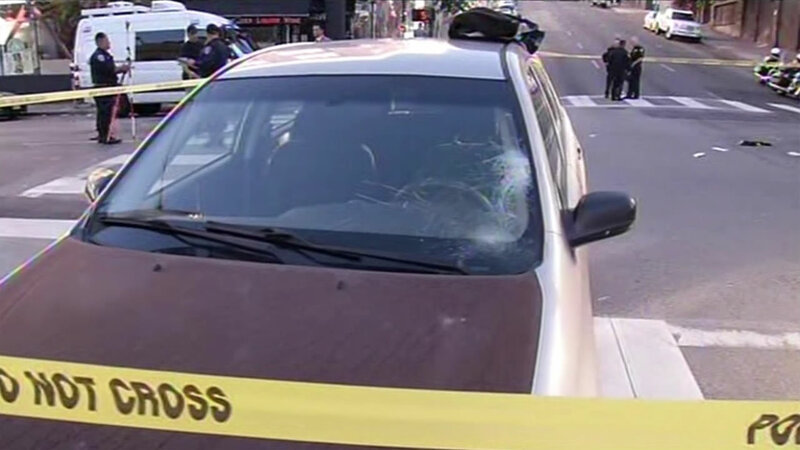 SAN FRANCISCO -- A jogger suffered life-threatening injuries when he was hit by a car in San Francisco Tuesday morning, a police spokesman said. The jogger was hit in the area of Post and Hyde streets at 5:36 a.m., police spokesman Officer Albie Esparza said. The jogger was taken to San Francisco General Hospital with life-threatening injuries. Witnesses described him running a red light, Esparza said. The driver stopped and cooperated with the investigation.